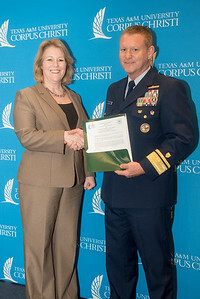 Dean, College of Science and Engineering, Dr. Frank Pezold welcomes the United States Coast Guard to the MOA signing at Texas A&M University-Corpus Christi. 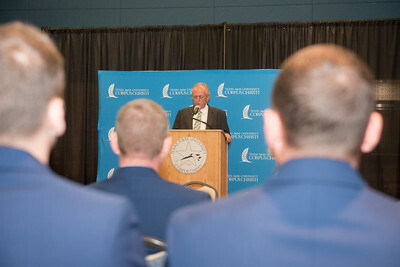 Tuesday February 20, 2018 in the University Center. 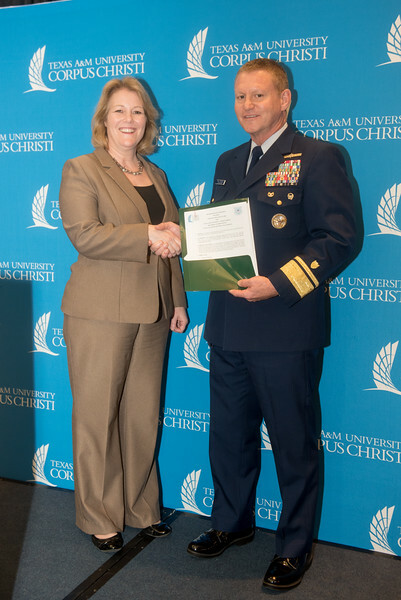 President and CEO, Dr. Kelly Quintanilla addresses what the Memorandum of Agreement means for Texas A&M University-Corpus Christi. 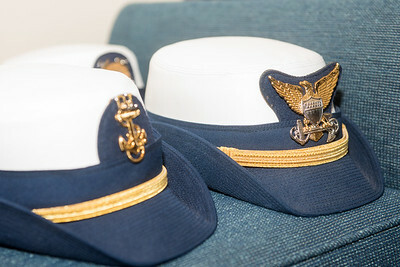 Tuesday February 20, 2018 in the University Center. 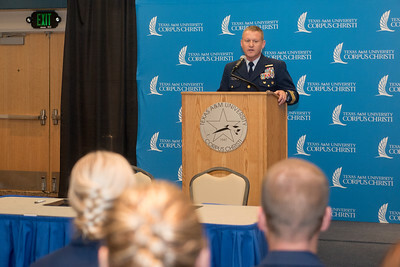 Rear Admiral Paul Thomas, Commander Coast Guard District Eight speaks at the podium during the MOA signing at Texas A&M University-Corpus Christi. 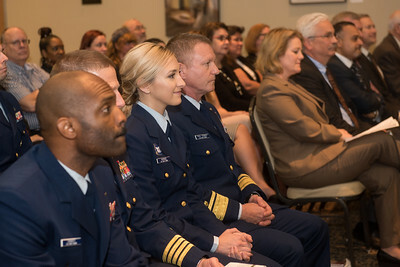 Tuesday February 20, 2018 in the University Center. 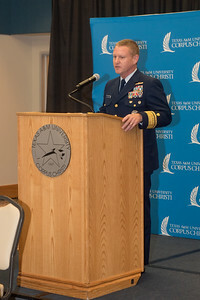 Rear Admiral Paul Thomas, Commander Coast Guard District Eight during the MOA signing at Texas A&M University-Corpus Christi. 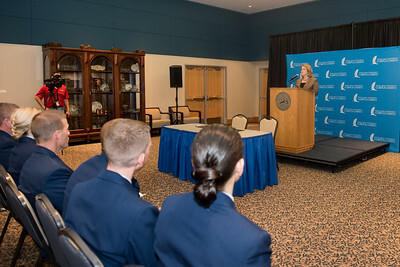 Tuesday February 20, 2018 in the University Center. 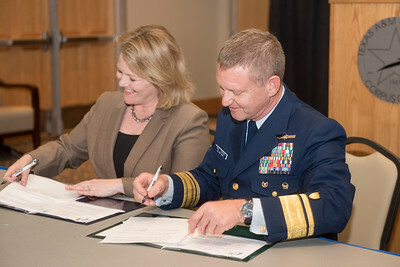 President and CEO, Dr. Kelly Quintanilla (left), and Rear Admiral Paul Thomas, Commander Coast Guard District Eight sign the MOA documents. 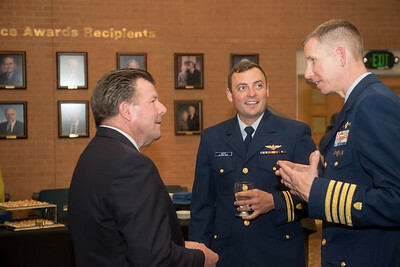 Tuesday February 20, 2018 in the University Center. 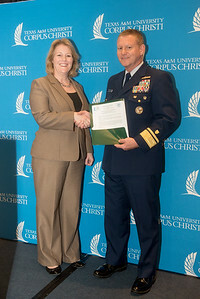 President and CEO, Dr. Kelly Quintanilla (left), and Rear Admiral Paul Thomas, Commander Coast Guard District Eight. 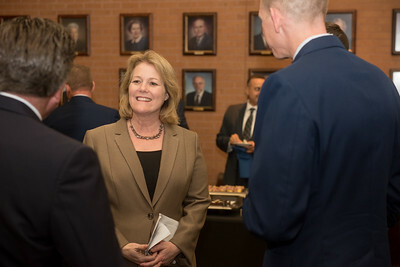 Tuesday February 20, 2018 in the University Center. 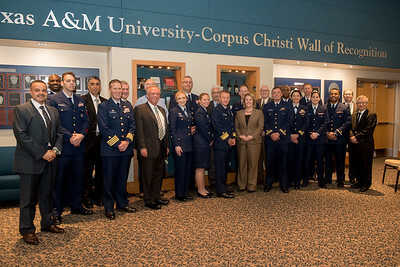 Guests from the United States Coast Guard gather for a photo with TAMU-CC administration, faculty, and staff in the University Center. 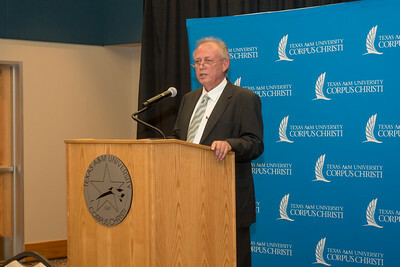 President and CEO, Dr. Kelly Quintanilla. 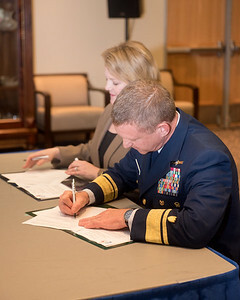 Tuesday February 20, 2018 in the University Center, at the MOA signing.